Now you really have no excuse to skip out on voting on Election Day. Organizations are celebrating democracy and helping to make it easier to get out and vote tomorrow. 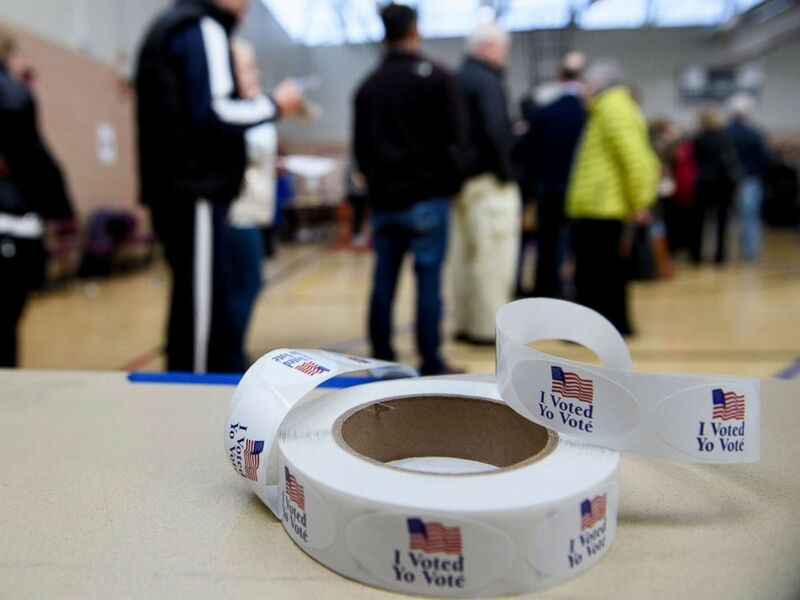 While offering free swag for sporting "I Voted" stickers may seem like a common, or even expected, practice for some every election, it is technically illegal during federal elections to offer free goodies in exchange for voting. People wait in line during early voting at a community center, Oct. 25, 2018, in Potomac, Md., two weeks ahead of the key US midterm polls. Many companies get around this however, by simply running Election Day promotions that don't discriminate based on whether or not you actually got out there and voted. Not being able to get to the polls is no longer a valid excuse for skipping out on participating in democracy, as a handful of ride-hailing, biking and even local public transportation organizations are offering free or reduced rides on Election Day. Lack of transportation was found to be the third most common reason for not voting among young people who did not attend college, according to data from the 2016 Election analyzed by Tufts University's Center for Information and Research on Civic Learning and Engagement. Uber announced earlier this month that it will be partnering with the nonpartisan organizations #VoteTogether and Democracy Works to offer free or discounted rides to the polls. In addition, Uber will offer $10 off a single ride to the polls on Election Day using the promotional code VOTE2018, and only for the cheapest option available in your city (So Uber Express Pool, Pool, or UberX). Some restrictions apply, so be sure to check out their website to make sure you can access the free or discounted rides. Lyft, another ride-hailing service, also announced an initiative to help get people to the polls tomorrow -- offering 50 percent off rides nationwide tomorrow, plus free rides to "underserved communities that face significant obstacles to transportation," according to a blog post on their website. You can get more information about the promo codes in your area and how to access the discounted rides on their site. Zipcar, the car-rental service, is also offering a promotion on Election Day, giving those who rent a car through them on Election Night a $20 credit for a future trip. Lime, a nationwide bike, e-bike and e-scooter share program, is offering free rides (up to 30-minutes) to your polling locations in more than 100 cities with the code LIME2VOTE18. For more information, visit their website. On November 6th, exercise while you exercise your right to vote! Pedal to the polls tomorrow with a FREE Citi Bike Day pass! Divvy, a bike-sharing program serving the Chicago area, is offering free rides tomorrow with the code VOTE18. A handful of public transportation systems in cities across the country are also offering free rides tomorrow, including the Los Angeles' Metro system, the Houston Metro, and the Tampa Bus systems to name a few, so it may be worth checking out if your city or town is participating on some way. 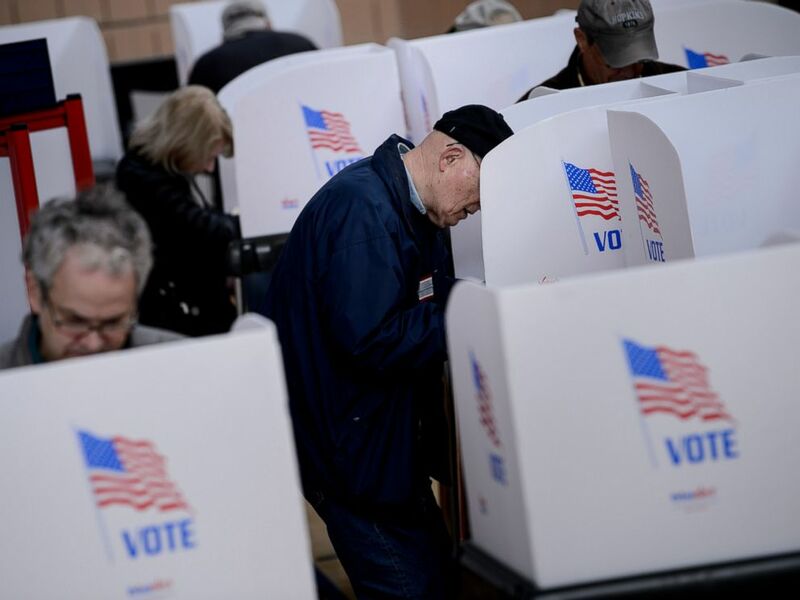 People cast their ballots during early voting at a community center, Oct. 25, 2018, in Potomac, Md., two weeks ahead of the key US midterm polls.